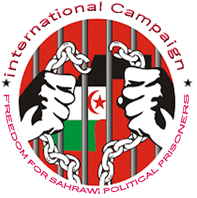 Shaheed Alhafed, January 21, 2019 (SPS) – The Polisario Front has decided to again take the controversial EU-Morocco trade agreement including the Sahrawi territories before the European Court of Justice (ECJ). Last Wednesday, the agreement has been adopted by the European parliament. The battle for the preservation of the Sahrawi natural resources will constitute a decisive factor of pressure on the Moroccan occupying power. In a communiqué, the Polisario Front said that the "battle will be led between the European judicial bodies and the European Commission, as no party recognizes the alleged sovereignty of Morocco over Western Sahara, including the European Union itself it mentioned in its last resolution of the EU-Morocco illegal commercial deal." Condemning the European Parliament vote on the agreement, which reflects the EU’s "contradiction" and "violation" with the ECJ decisions, the Polisario Front added that the EU had "through this deal legitimized the abusive plunder of the natural resources of the occupied Western Sahara."